Fully equipped quaint cabin on the River. 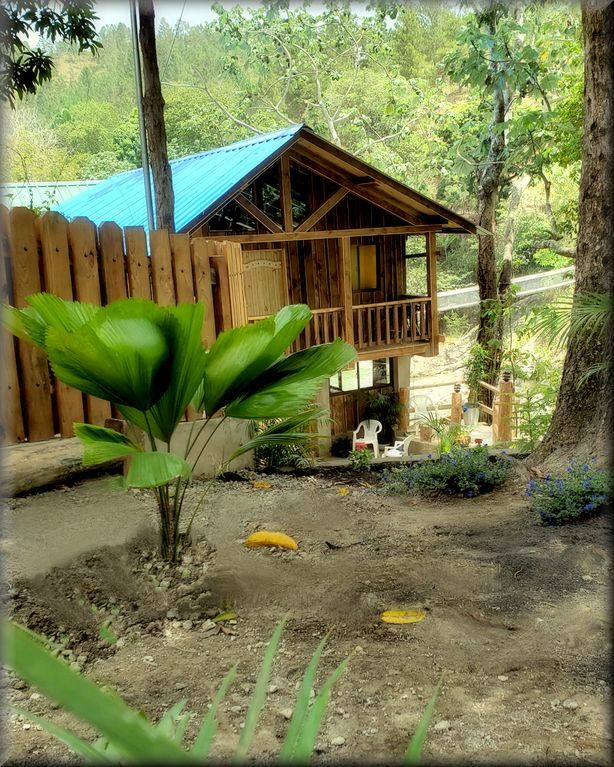 Everything you need to enjoy your time in Jarabacoa. Ideal for 4 people... but can sleep six in partitioned rooms. Enjoy the fantastic view of Jarabacoa s beautiful Yaque Del Norte River by day and let the sound of the rushing river put you to sleep at night. Fantastic view of the river... now with steps to the river. Guests can walk down to the river, sit and enjoy "nature s jacuzzi". When you reserve we will confirm which cabin is available. Supermarket and bar are close-by. Tons of activities in the beautiful Jarabacoa area with hiking, horseback riding, whitewater rafting, para-sailing and more.